For some reason, all the posts I've made today seemed to have vanished. Even more disturbing, a few of the threads started today - like one about the LV monsters - have vanished, as well. What's going on, here? Actually, a lot of recent posts and threads are missing from the forum, not only yours. Update: Not just forum posts, but the news about the new trailer for the movie is also missing from the main site, I guess something went wrong in the server and it needed to be restored to a previous backup. Last edited by DelCtrl; 13th December 2015 at 03:32 AM. Most likely, something happened and a backup was restored. I was getting a 403 error for about a minute. We've all been cast backwards in time by roughly 24 hours. None of today ever happened. What do I do over with this new lease on my life? Wait do I have to work that 10 hour shift at Dominos again? Yes. 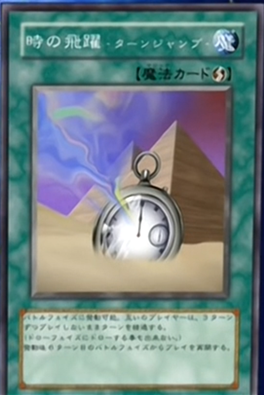 If only Konami had made Leap of Time- Turn Jump a real card. But if I change one move of my own, my opponent could change their moves and the domino effect could take today in an entirely different direction. Because Final Countdown support is what everyone wants.